2018 Nationals Overall & Discipline Champions are automatically “pre-qualified” for the 2019 National Championships. These champions must be current USASA members in good standing by March 1, 2018. In the event the CMS top overall finisher is unable to attend, the second place finisher will qualify. The remaining National Championship spots will be awarded based on the National Ranking System. 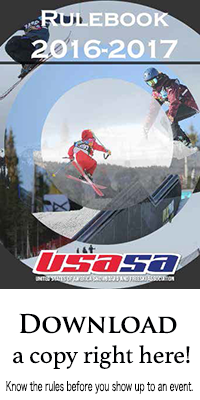 National Ranking scores will consist of the athlete’s best 3 scores from any 2018-2019 USASA event earned at any time in any series or the previous year’s National Championships.